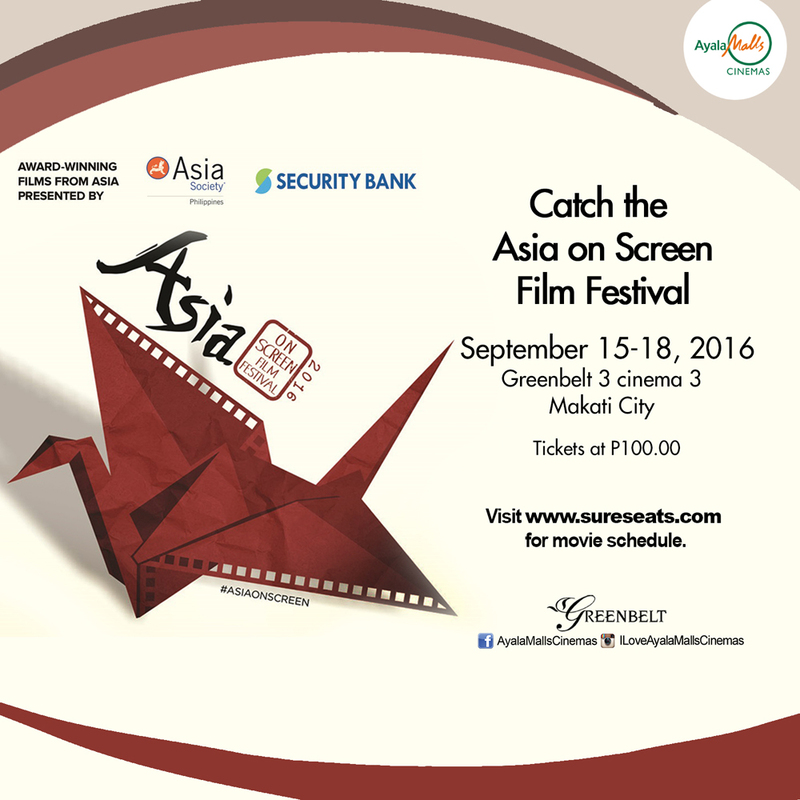 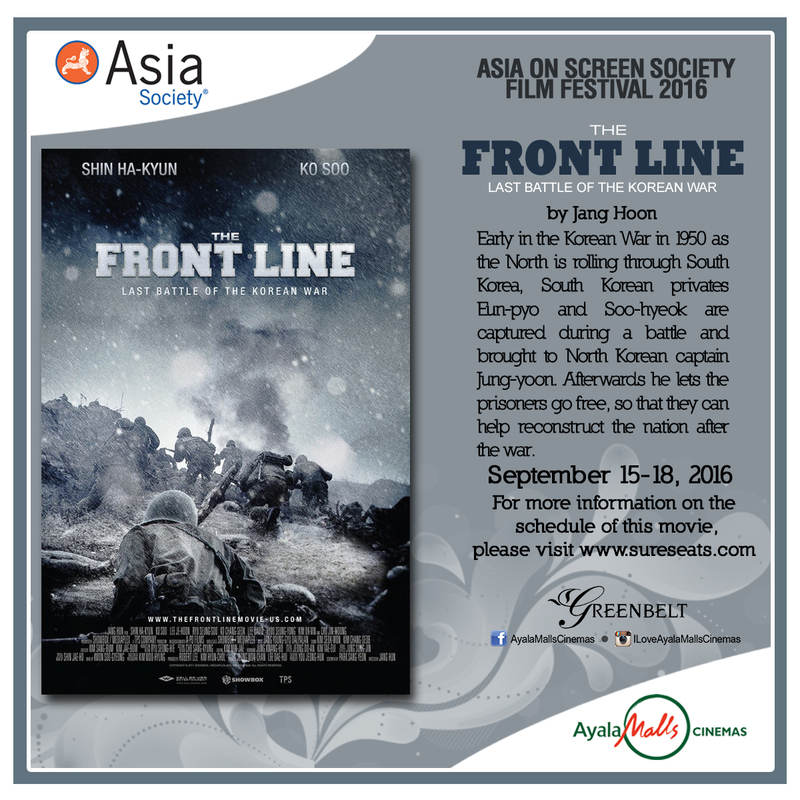 Ayala Malls Cinemas brings the prestigious Asia On Screen Film Festival at Greenbelt 3 from September 15 – 18. Asia On Screen is Manila’s premier Asian film festival featuring award-wining and critically-acclaimed films. 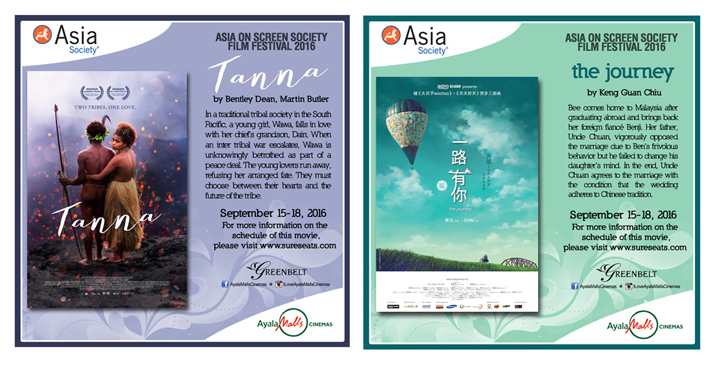 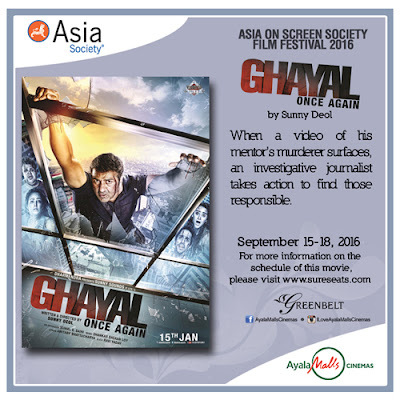 Now on its 3rd year, Asia On Screen 2016 will showcase 13 films representing 11 Asian countries. 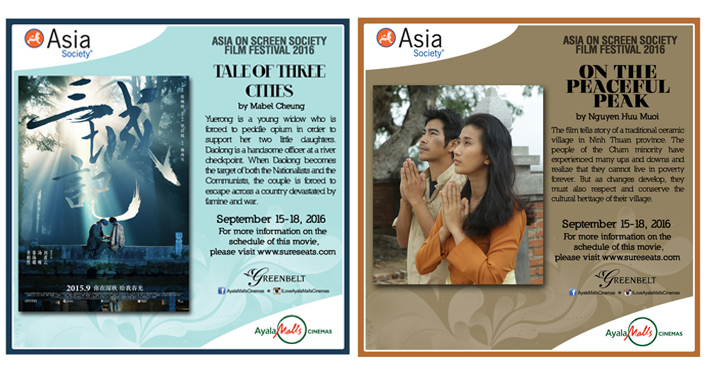 With the burgeoning of the film industries across Asia, the world of arts and cinema and entertainment in Asia has never been more exciting. 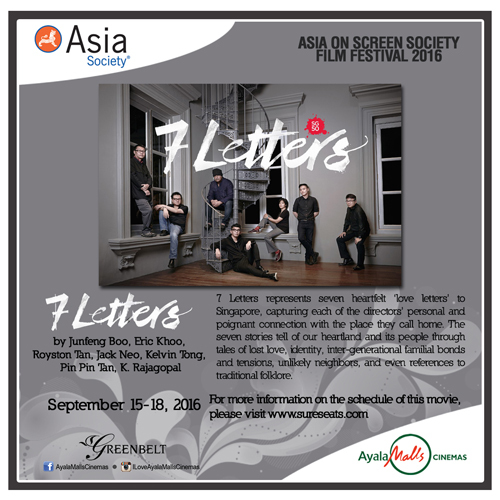 Participating countries include: Australia, China, India, Indonesia, Japan, South Korea, Malaysia, Philippines, Singapore, Thailand and Vietnam. The festival brings the best of a broad selection of Asia Pacific cinema in order to draw greater recognition to the region's wealth of talented actors and filmmakers. 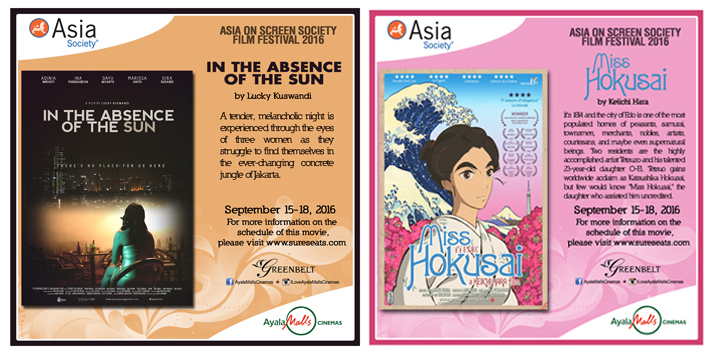 Moviegoers will be transported around the region through stories of forbidden love, to coming of age teenage dramas, to incredible stories of survival and epic historical tales. 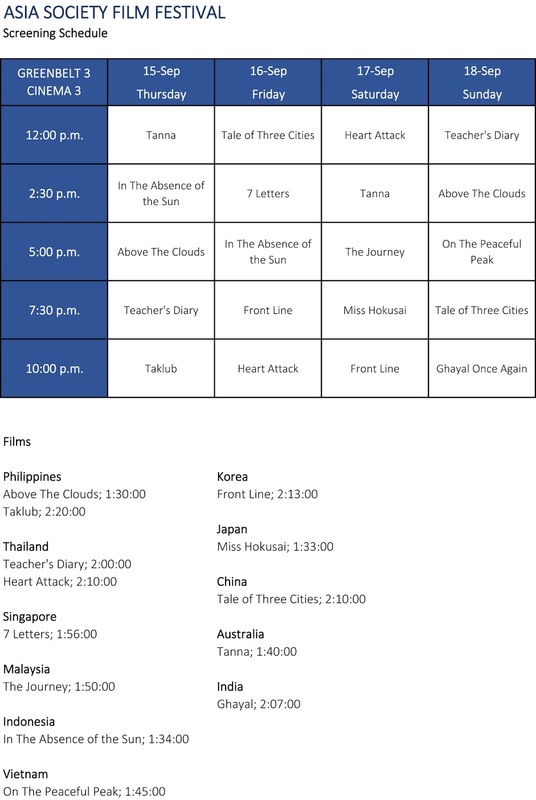 It will showcase a vibrant line-up which includes Tanna (Australia), A Tale of Three Cities (China), Airlift (India), In the Absence of the Sun (Indonesia), Miss Hokusai (Japan), Frontline (Korea), The Journey (Malaysia), Above the Clouds (Philippines), Taklub (Philippines), 7 Letters (Singapore), Teacher’s Diary (Thailand), Heart Attack (Thailand), and On the Peaceful Peak (Vietnam). 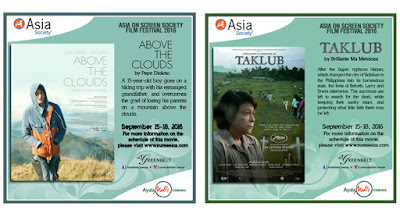 This year, the film fest opened with Above the Clouds. 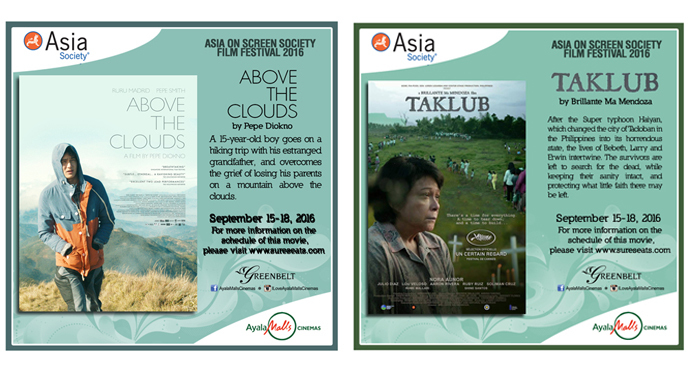 Capturing the breath-taking highlands of the Ifugao region, the film is an emotional journey towards transformation and deliverance. Tickets will be available on-site at the Greenbelt 3 Cinemas at PHP 100 per screening. 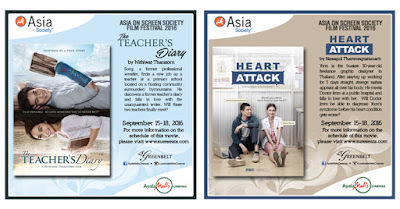 For more information on the schedule of Asia On Screen featured films, go to Ayala Malls Cinemas’www.sureseats.com .